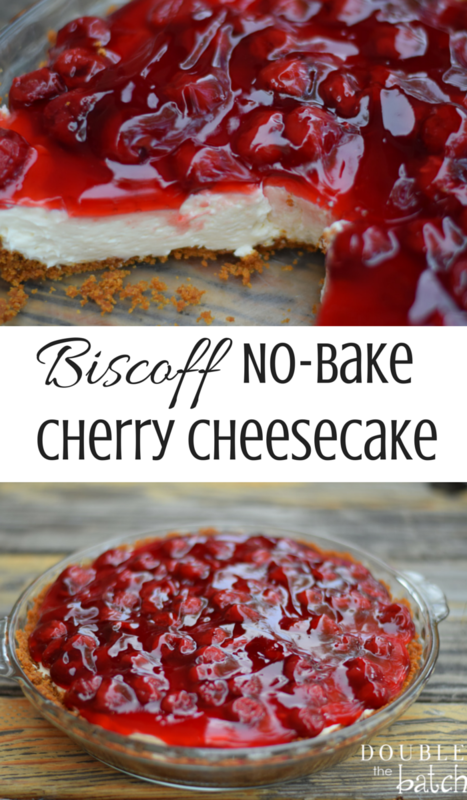 I absolutely love no-bake cherry cheesecake. I have fond memories of eating it as a child. My mom would always make it for my dad on Valentine’s day, and I would always sneak a sliver when no one was looking. Later in life, I entered her recipe into a contest and won 1st place! Fast forward to today. I came up with an idea one night (couldn’t sleep) to combine my favorite cookies and my favorite cheesecake. 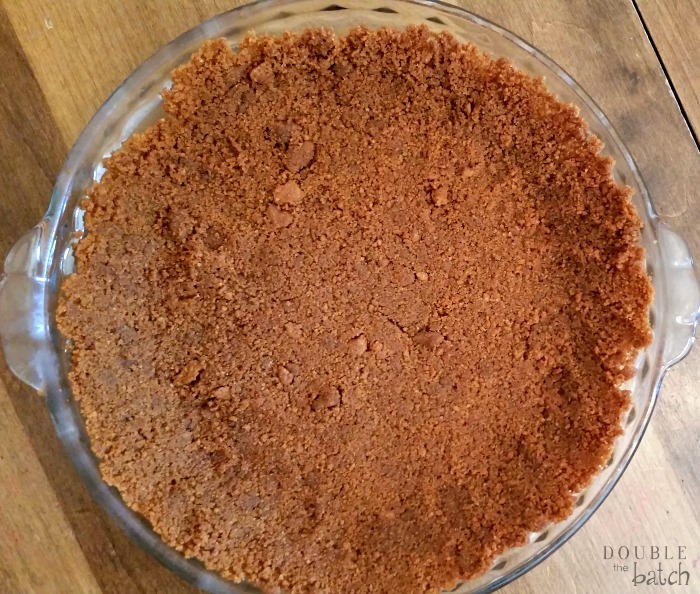 My mom’s recipe had always called for a graham cracker crust, which was delicious, but what about a Biscoff cookie crust?? I know, right? How could that not be absolutely delicious? Well, here we go! I hope you enjoy! 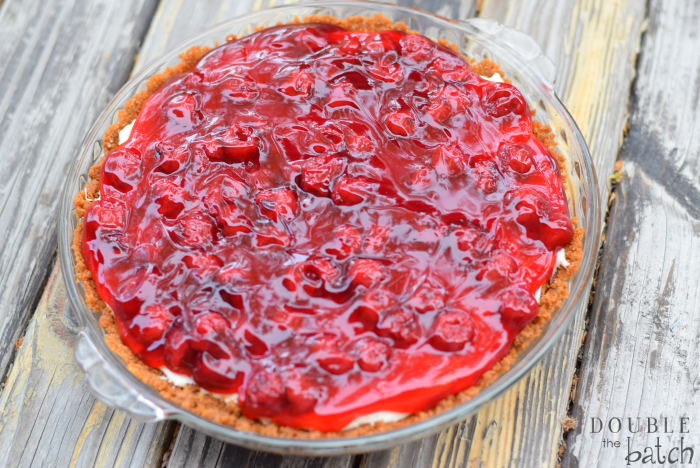 I only used 1 can of sweetened condensed milk because of the sweetness of the cookies and cherry pie filling. The original recipe uses 2, so feel free to add more if you like a little more sweetness. Everyone at the family gathering I took this to seemed to love it with just one. 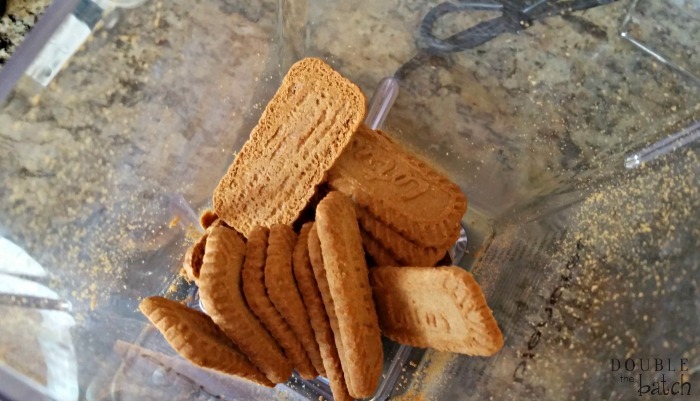 Biscoff cookies can usually be found in the cookie section of your grocery store with the imported cookies. They are from Europe. Make sure you take your cream cheese out of the fridge 1-2 hours before so that it is soft and easier to blend. 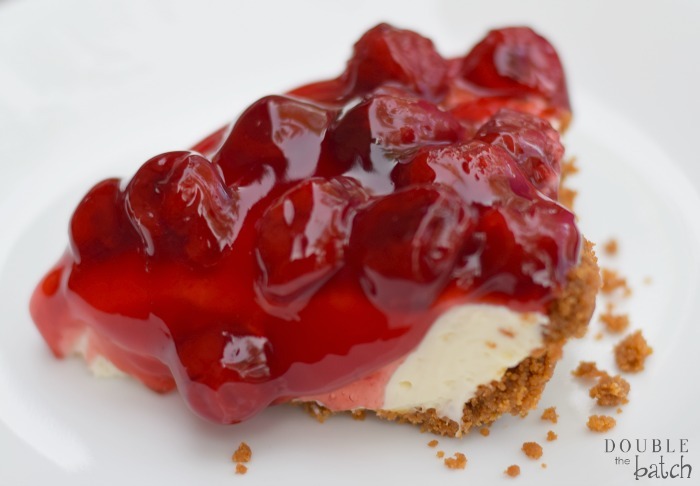 Make the crust first so that it can be chilling in the freezer while you mix up the cheesecake. 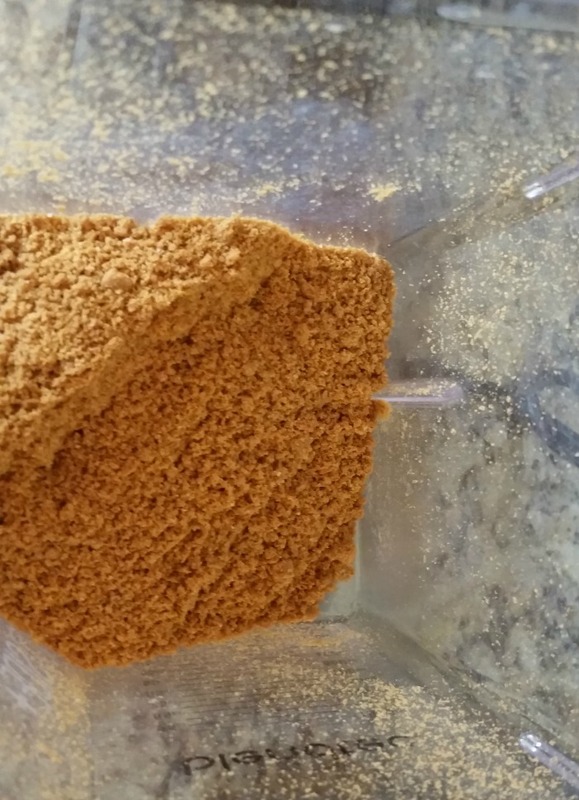 I used my blender to crush up my Biscoff cookies. I dumped in 1/2 of the package at a time and pulsed until the cookies were fine crumbs. 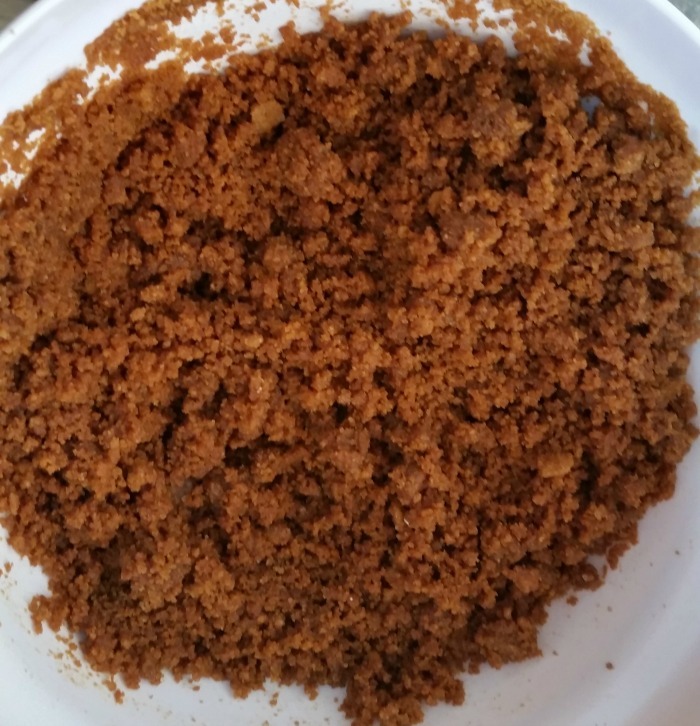 Melt your butter and then add to your cookie crumbs and mix together. Dump cookie crust mixture into pie plate and press to make crust. Put crust into the freezer so the butter can get cold and make your crust more stable. Now it’s time for the cheesecake filling! 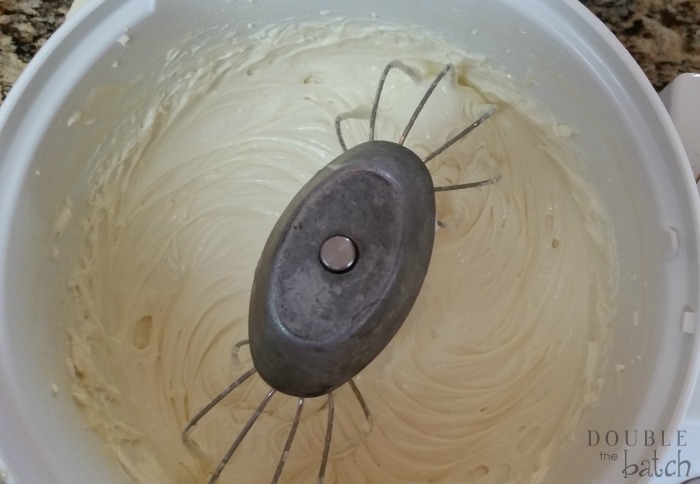 Start by blending the cream cheese in your mixer until smooth. Slowly drizzle in the sweetened condensed milk until fully incorporated and smooth. Add in the lemon juice (I used fresh lemon juice) and the vanilla and mix well. Spoon the filling into the pie crust and spread evenly. Chill in the fridge overnight or for at least 3 hours. (Also put your can of cherry pie filling in the fridge so it will be cold when it’s time to spread on top of cheesecake.) Before serving, spread cherry pie filling on top. See? Wasn’t that easy? Now you will be the hit of your next party or get together! Make sure you take the recipe with you cause I guarantee people will be asking for it!